What should you buy your loved ones for Christmas. The Olive trees is an evergreen tree and reaches a height of about 10 to 20 meters. The olive tree grows very slowly, but can grow up to 1000 years old. The cultivated olive trees are cut regularly to increase yield, as the smaller, more crooked and gnarled the tree is, the better its potential yield. The olive tree is an evergreen plant, meaning that it does not lose its foliage at any time of the year. Older leaves are dropped regardless of the season. Olive trees have their heyday from late April to early June. The flowers are self-pollinated in most varieties and are pollinated by the wind. Subsequently, the pollinated flower forms an olive, which belongs to the so-called Mediterranean stone fruits. Immature olives are green, maturity is black or purple-brown. The highest yield can reach an olive tree after about 20 years. Most olives are made into olive oil or pickled olives and are quite durable in this form. 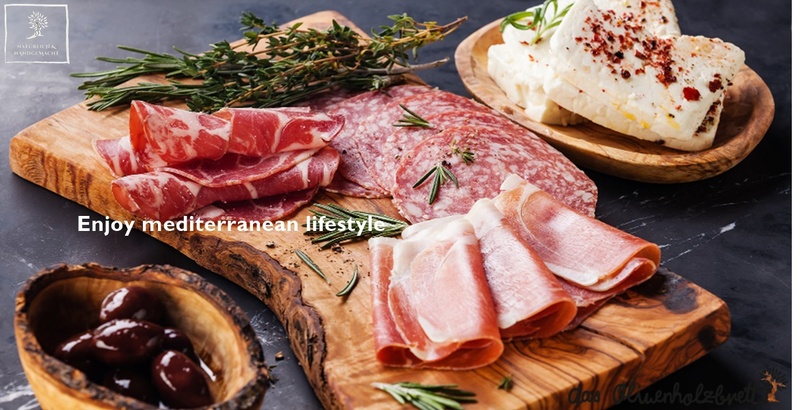 Therefore olive wood products occupy a high place in the Mediterranean cuisine and food culture. 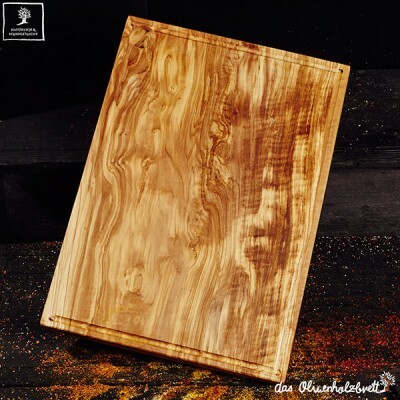 Beautiful texture like an "art of nature"
Natural materials such as precious and noble olive wood are very much "en vogue". 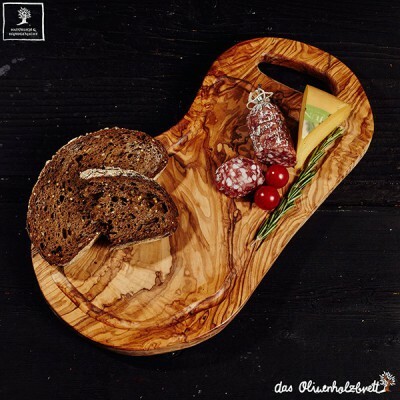 This is no wonder: wood gives us a natural feel, they impress with the typical wood grain, smell pleasant and often have a silky-smooth surface. 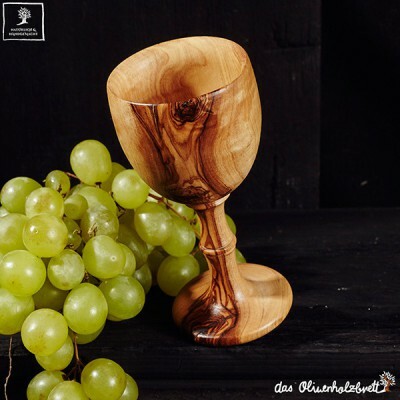 In our shop you will get well designed hand sorted pieces made of high quality olive wood. 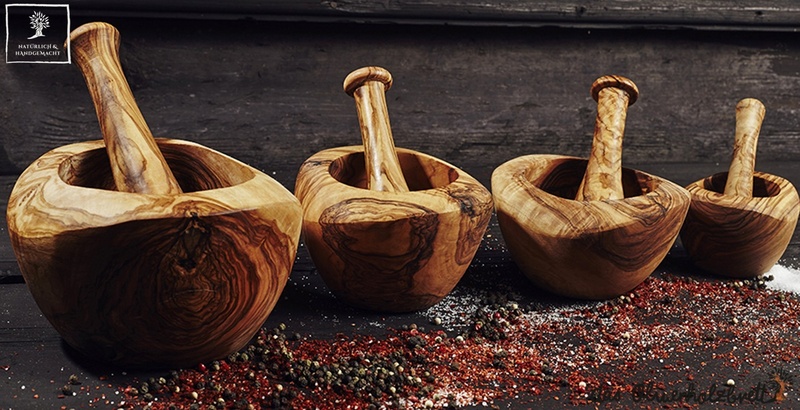 Whether kitchen or living area, garden or terrace, our models of the best wood of the olive tree can be skilfully integrated into any living area. 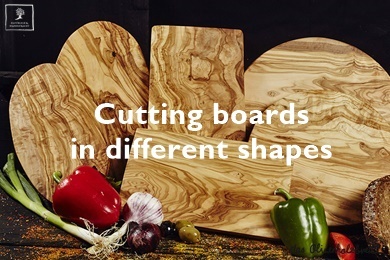 While bowls, chopping boards and spoons, mortars and oil and vinegar cruets are naturally used for the preparation of salads as well as decoration, accessories such as our beautiful chess boards provide a welcome pastime or also represent a unique gift idea. You are looking for an original gift for the best friend or a good friend or a friendly couple? 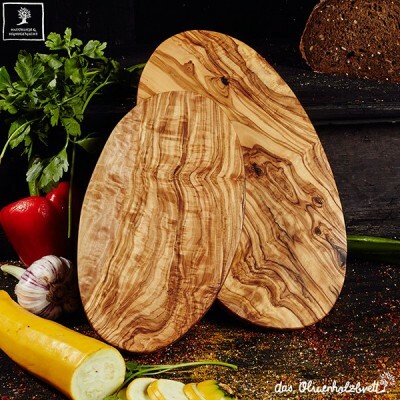 How about a salad bowl of the best olive wood, maybe even with a suitable salad servers? For example, in our shop we offer bowls in many different sizes. The beauty of the models is that no shell of the other resembles. 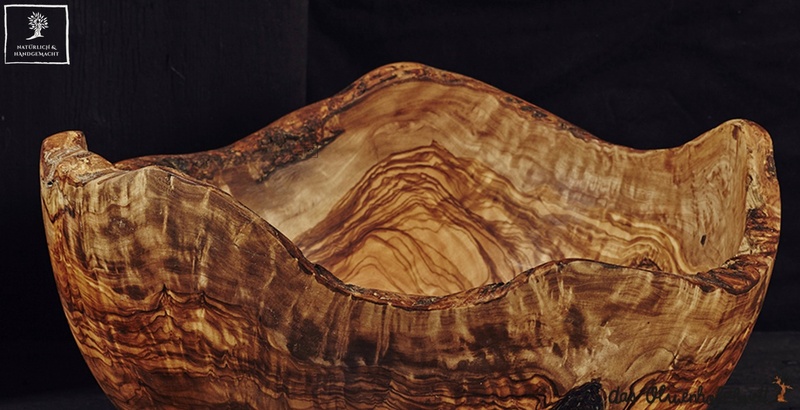 Due to the natural grain of the wood, each olive wood bowl is a real one of a kind. 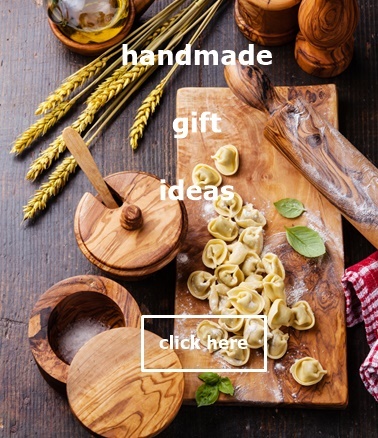 And if you can not decide on a suitable size, just choose a bowl set as a gift. If you opt for this wonderful material, it once again proves its excellent taste. 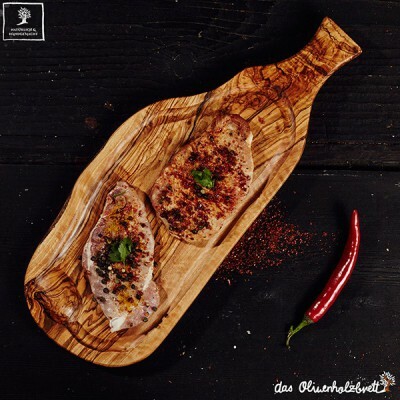 Olive wood is a natural ressource that not only looks great but also has a number of positive qualities. 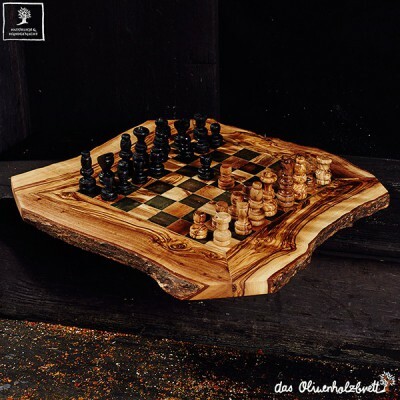 The wood is very hard, it is even harder than oak or beech. 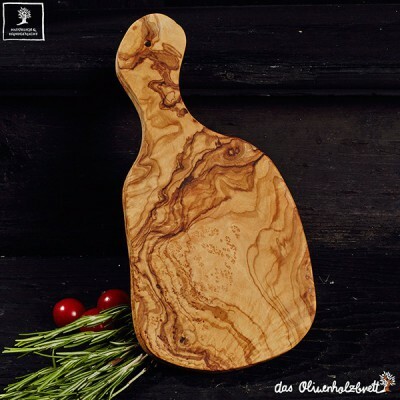 Externally convince products made of olive wood by the interesting marbling and the beautiful soft browns. The relatively dense natural material ensures that they feel well in the hand and the surface feels so smooth. 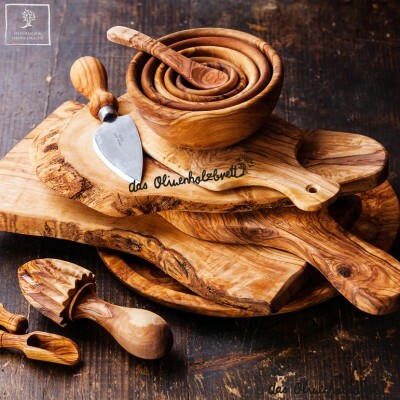 The beauty of our olive wood cutting boards, bowls and spoons can be cleaned without any problem. 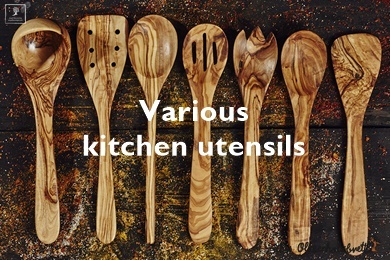 After use, simply rinse thme under hot water and wipe off the wood or let them dry on a cloth. In the natural material, drying is particularly important. If they are placed in the cabinet while still damp, stains may form on the surface. For heavy soiling, add a mild detergent to the rinse water. For the dishwasher our products are not suitable. The intense heat and the addition of chemical cleaning agents quickly leave the noble surface of the wood dull and unsightly. 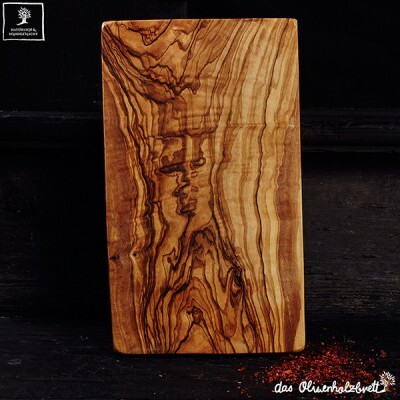 If you want to enjoy the beautiful appearance of olive wood for a long time, you should rub the surface with some edible oil at regular intervals. Use a non-linting cloth for this. 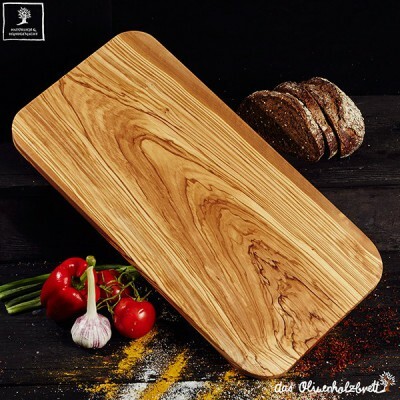 By taking care with edible oil, you can ensure that the products retain their beautiful color and that the grain of the wood is perfectly visible again. 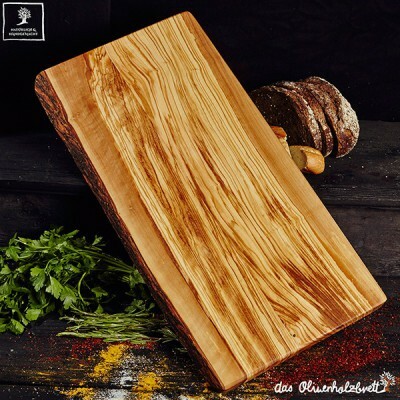 You are interested in our offers of olive wood? Look around the shop and choose what you like best. 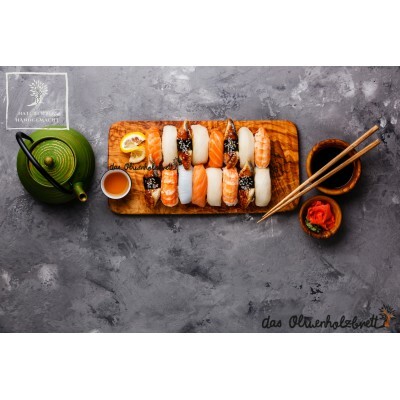 Our clearly arranged page guides you step by step to the desired item. You are also welcome to contact us if you have questions about the offers on our site.